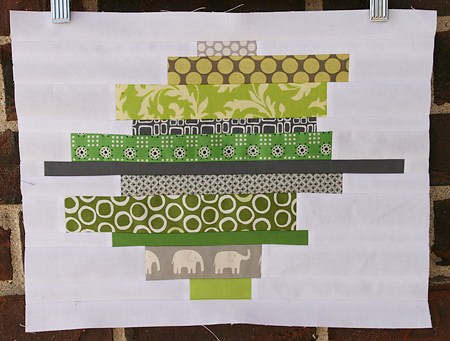 We were back in the swing of things January with the Sew New to Me Virtual Quilting Bee. It was Cristin from Hazelnut Designs turn and she asked us to make a block that used squares and/or rectangles. She sent really cool green and gray fabric. I immediately knew what type of block I wanted to make! I hope you like it Christin!